Why do some products capture widespread attention while others flop? What makes us engage with certain products out of sheer habit? Is there a pattern underlying how technologies hook us? Author Nir Eyal answers these questions (and many more) by explaining the Hook Model—a four-step process embedded into the products of many successful companies to subtly encourage customer behavior. When was the last time you checked your smartphone? If you’re like most people, almost certainly within the last hour. What about your Twitter? Or your Facebook page? The fact is that smartphone manufacturers, Twitter and Facebook have all created products that are, in the words of consultant and entrepreneur Nir Eyal, "habit-forming." 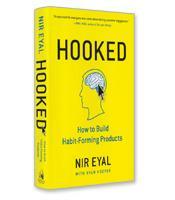 As Eyal explains in a new book, Hooked: How to Build Habit-Forming Products, a habit is in fact a shortcut for the brain. A habit is an automatic, almost unconscious reaction by the brain to a trigger. Habit-forming products are an obvious boon to business. Consumers automatically use the product on their own, again and again, without any prompting from ads or marketing. Of course, not all industries need habit-forming products. The sale of life insurance, for example, requires salespeople, advertising and word of mouth. There is no habit for the consumer to acquire. 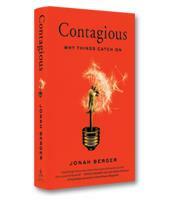 But for many companies, success depends on developing such habit-forming products. For those companies, Nir Eyal offers a four-step circular framework, which he calls the “Hook Model,” to ensure that consumers keep returning to their products, over and over again. The first phase of the hook model is the trigger. This is the spark to the entire process. Triggers can either be external or internal. External triggers might be an email, website link or even an app icon. External triggers propel consumers through the loop of the model in the hope that eventually consumers will no longer need prompting from external triggers; instead, the prompting comes from internal triggers — triggers that come from within the consumer. Internal triggers are formed slowly, taking weeks or even months of frequent usage. Eventually, however, the consumer automatically turns to the product whenever a particular emotion or need arises. The second phase of the model is the action that the consumer takes as a result of the trigger. Building on the behavioral work of Stanford University professor B.J. Fogg, Eyal explains that consumers take action when there is both motivation and ability. External triggers will seek to spark motivation — an ad will seek to give a reason for the consumer to use the product — but it is internal motivation that in the end proves most powerful. Motivation without ability is useless, however, which is why companies work hard to make the use of the product as effortless as possible. Variable reward is the third phase of the Hook Model. In traditional terms, consumers take action because they want a problem solved. The key word in Eyal’s definition, however, is “variable.” The consumer expects something as a result of the action, but exactly what that reward might be varies, and this is what keeps the consumer returning again and again to the product or service. The last phase of the Hook Model is investment. In this phase, the consumer will put something — time, effort, social capital, money — that encourages the consumer to continue with the Hook cycle. Research has shown that the more consumers invest time and effort into a product (or service), the more they value that product. An additional motivation to return to the product is “stored value.” The more songs you download to iTunes, the more likely you are to return to iTunes to listen to them. Pinterest, the online bulletin board, exemplifies the four stages of the Hook Model. The external trigger that sparks the consumer’s engagement might be a recommendation from a friend or reading about the application in books (or book reviews). The consumer takes action by registering on the site. The variable rewards include seeing what others have posted, reviewing what one has posted (after the first cycle), and the comments and likes to those posts. The consumer now makes a further investment by posting new images or commenting, liking or sharing (repinning) other posts. “Each pin, repin, like or comment gives Pinterest tacit permission to contact the user with a notification when someone else contributes to the thread, triggering the desire to visit the site again to learn more,” the authors write. Filled with examples and anchored by the Hook Model, Hooked is a hands-on guide for companies seeking to emulate the amazing success of Pinterest, Twitter and others and build their own habit-forming products.